Commercial vehicle wraps could be considered a blend of advertising and art if done well and can create many memorable impressions. Considering the time, money and talent companies commit to produce commercial vehicle wraps in order to build their businesses; it makes sense to apply the fundamentals of good outdoor marketing and good design. But those simple principles are overlooked more often than you would expect and the intended purpose, advertising and brand recognition, fails. So why is this medium with so much potential not always as effective as it could be? 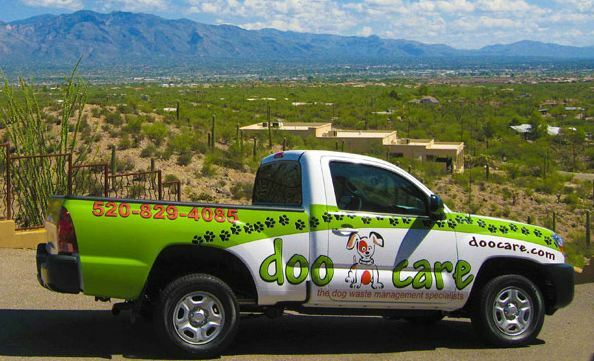 Consider the success of an effective vehicle wrap advertising requires two diverse skills. A vehicle wrap company may be top experts at installation but may lack experience or the staff for designing effective display advertising for a moving vehicle, which is very different than print media. Conversely, the display advertising expert needs a company experienced at installing wraps to ensure their customer is happy with the end product. However, what if you want to be a one-stop-shop? You can be if you combine the fundamentals for vehicle advertising and good design. Whether you are a graphic designer for outdoor advertising mediums or you own a wrap business interested in increasing market share, these guidelines will help you make visually impactful messages while increasing the return on investment for advertising programs for your business or a clients. For companies that install vehicle wraps that means more happy clients and that means for vehicles to wrap! Extensive market testing shows that Design (not content) is King in terms of gaining people’s trust and keeping their attention for those critical first 2-3 seconds. In a study conducted by Dr.Elizabeth Sillence, a senior lecturer on psychology and communication, found that people developed trust issues related to design. Good, clear design can establish trust immediately vs. poor or confusing design that creates instant rejection. We do indeed judge a book by its cover! Vehicle wraps flop from a marketing perspective if the company has a poor brand identity or a unclear logo from a design standpoint. 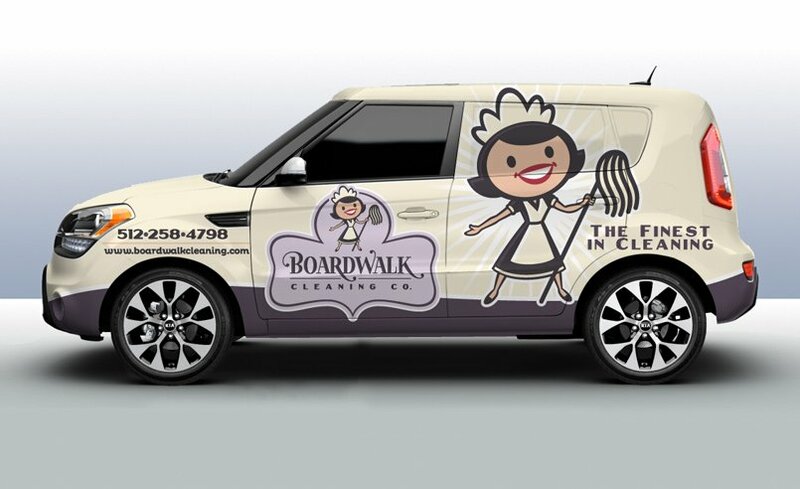 Unless you already have nationwide brand recognition, your brand needs to be the primary message for a vehicle wrap. Why? If you are a small or medium sized business trying to gain new business in a community, what you want people to remember is your brand so they can find you later. Look at your brand identity and logo. If it’s not super professional, eye-catchingly attractive from a design standpoint (confirmed by candid observers) and coveys what you offer in an instant, this is an opportunity – not a problem. For people serious about building their businesses, this is a no brainer. It is an opportunity to redo or update your brand image or logo and make a splash about re-launch too! It’s especially important to keep simple messaging on smaller vehicles. Unless a vehicle is parked, people only have a few seconds to take in your message. With larger vehicles, like trailers that are mainly for stationary use, you have more leeway but this rule still applies. Lists or multiple lines of text are not effective as a rule on a vehicle wrap. Since a large portion of your exposure is when the vehicle is moving, people will not remember your brand if there is too much to read. To be continuously effect, you need to convey one to two memorable impressions that will send people to the web to or phone to learn about your business. The rule of thumb is to relate to vehicle wrap ads like a billboard. The more copy on a billboard the less people take away OR miss the message all together. Does the photo connect the viewers to the company? Does it convey the company’s brand identity? Would the message be more clear or effective without a picture? A photo might connect me with what the company does, but if the brand is good and properly executed, it wins easily. Look at the example on the left. The pictures of the dogs are great and there is certainly a connection to the service. But, they do not convey the brand. Look at their logo…it’s great and you can hardly see it! If the logo was prominent vs. the pictures, the brand, message and information come across with more impact and it would be easier for people to absorb and remember the company. I only gave myself 2.5 seconds to view the message because that is ALL the time the average viewer has when the vehicle is moving. After 2.5 seconds are up, will your message be lost amid all the elements trying to grab for a potential customers attention. There are occasions that might call for a well-placed photo. For example on box trucks, big trailers or a very simple message, but there is no question that powerful brand messaging the most effective way to get your name and contact information across quickly. But think about the vehicles you have seen wrapped where the photos dominated. How many of the brand messages got across? Now don’t get us wrong, we love diamond plate, carbon fiber, tribal flames effects. 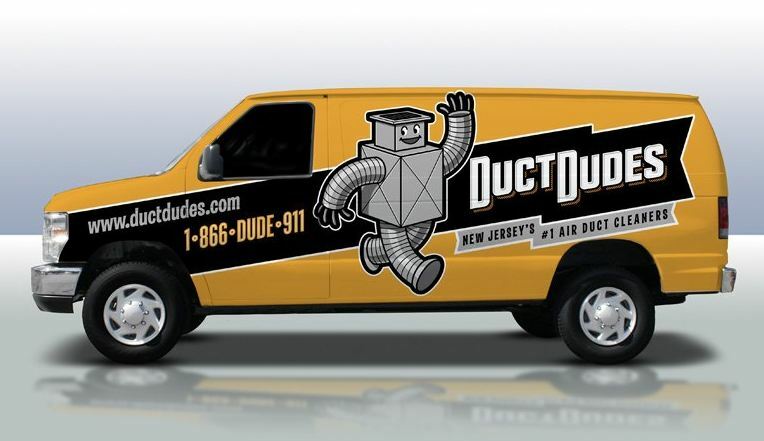 Some marketers say use these to make your commercial vehicle wrap stand out. 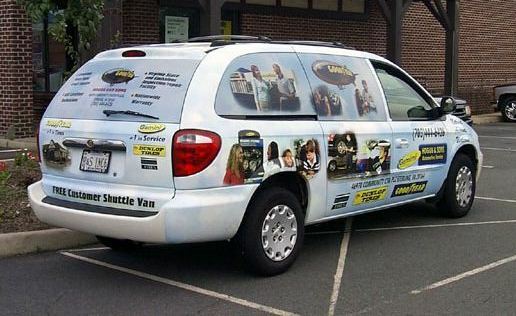 Consider the opposite can be true for vehicle wraps for businesses. They are great for fun vehicles, stationary rigs at shows and do add dramatic effect, but not always good for getting your primary message across in a few seconds. Why is that? To the eye, as your vehicle goes by, all those fills, “noisy” backgrounds, photos, flames and glows, are scattered with visual noise often leave a potential customer saying “but what was the message?”. Designing a vehicle wrap, which stands out, that has impact that can be read, absorbed, and remembered makes it much easier to be seen among the ever-increasing vehicle ad messaging. Clever is good…clutter is not. Every time potential customers have to work to figure out the brand messaging, it’s a lost prospect and if you think about it, defeats the point of having a commercial vehicle wrap. It is a classic mistake when designing wraps, to confuse this medium with print design. With print design the viewer can absorb the advertising and understand the message if it is well done. With vehicle wrap advertising you have about two blinks of an eye. 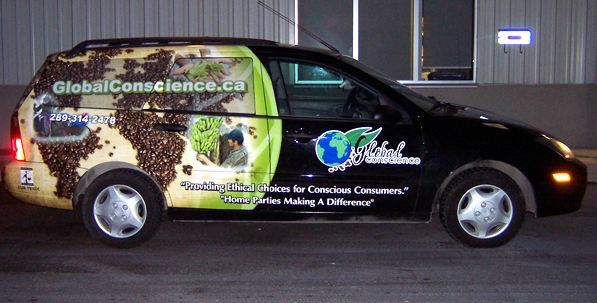 Does your wrap design effectively communicate it in 2 to 3 seconds? Does it get lost in the visual noise? And here is a lesson to avoid. 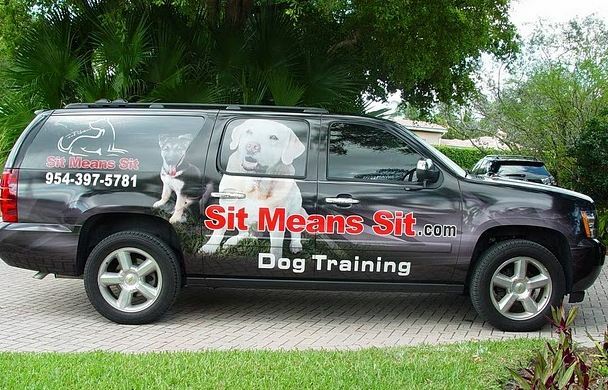 When designing your vehicle wrap ensure your message and information is legible from a good distance! So if you want to grow your vehicle wrap business, be the company that understands and uses appropriate images, messaging and brand impact and that understands how to marketing your clients business as effectively as possible given how their vehicles will be used. Your wraps will stand out in the crowd! McLogan Supply has a complete line of vehicle wrap supplies for commercial, personal and just plain artistic fun for all levels of “wrappers”. We are happy to answer questions too! Stop by a McLogan store near you or visit us online! Join us on Facebook.